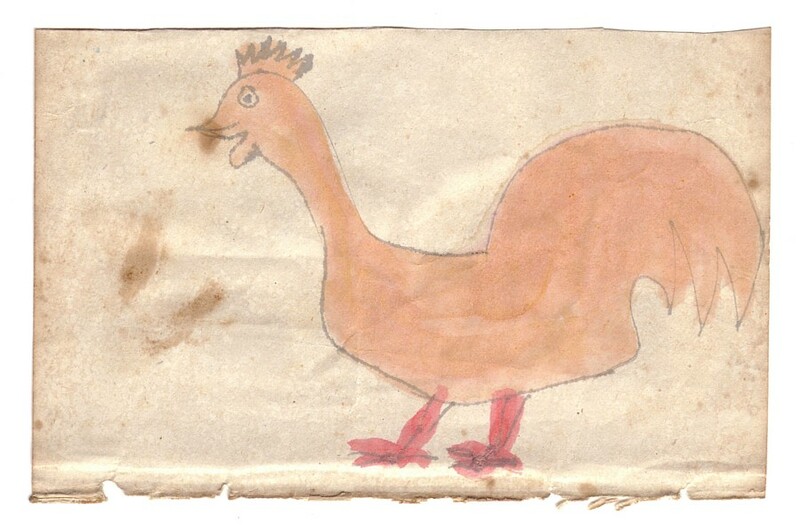 Dimensions (inches): Parchment: 3.75" x 5.75", Bird Image: 3.25" x 4.5"
Child's watercolor drawing of an orange rooster with red legs. The work was taken from a book of such drawings that was found in Lancaster County. Size of Parchment: 3.75" x 5.75"
Size of Bird Image: 3.25" x 4.5"
Mounting: The work has not yet been mounted. My in-house conservation staff can provide mounting and framing services at an additional cost. Condition: Moderate foxing and edge wear.